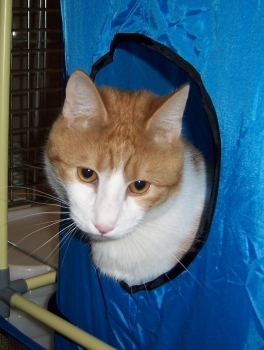 Our cat campers are housed in a cozy cattery located in the main lodge. 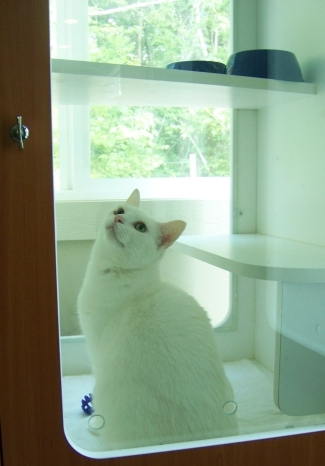 The cattery includes spacious, three-tiered sleeping condos, private litter boxes, and sunny windows for perching and watching the outdoor world. Lodging includes morning and evening meals and play times.